The film stars Tom Holland back as Peter Parker, Samuel L. Jackson as Nick Fury, along with Michael Keaton, Zendaya, Jacob Batalon, Jon Favreau, Marisa Tomei, Cobie Smulders, Tony Revolori, Angourie Rice, Martin Starr, JB Smoove, and Jake Gyllenhaal as Quentin Beck (aka Mysterio). Jon Watts returns as the director of Spider-Man: Far From Home, along with Chris McKenna and Erik Sommers as the film’s screenwriters. Sony also released this poster for the film. 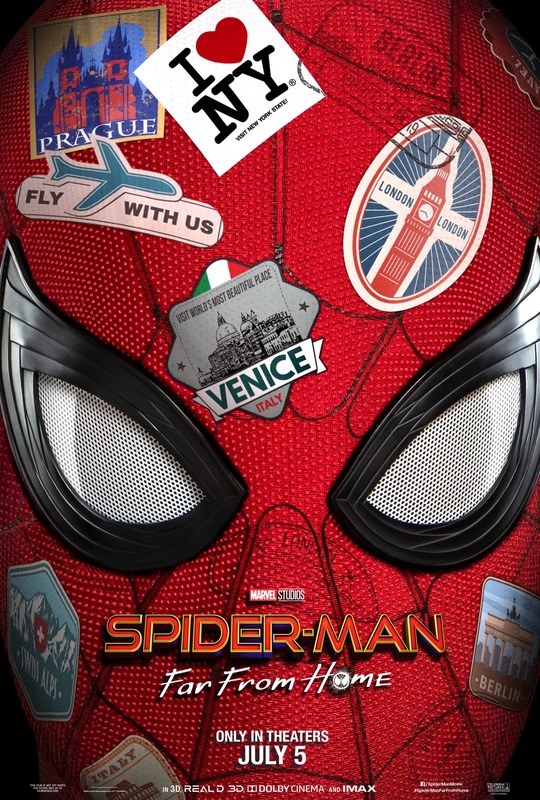 Spider-Man: Far From Home swings into theatres on July 5th, 2019.